In our first meeting the property owner explained that they had a website that she liked and couldn’t really understand why it wasn’t effective. I did a thorough review and found that the site itself was old, the navigation next to impossible to use and information on how great this property was, the rich history it offered and what prior guests said about them was non-existent. 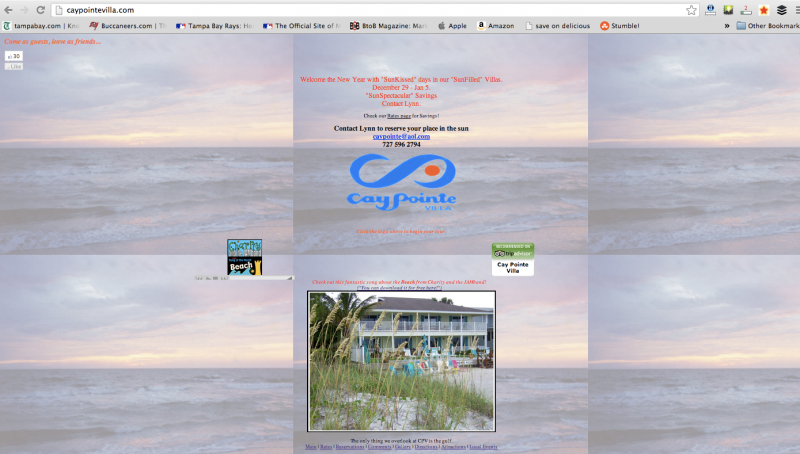 We contracted for a complete WordPress development/rebuild of the site and placed clear emphasis on the beautiful property itself, it’s beachfront location and the quality of it’s rooms. We took particular care to focus on the two audiences it most wanted to serve: Destination weddings and family/corporate retreats. 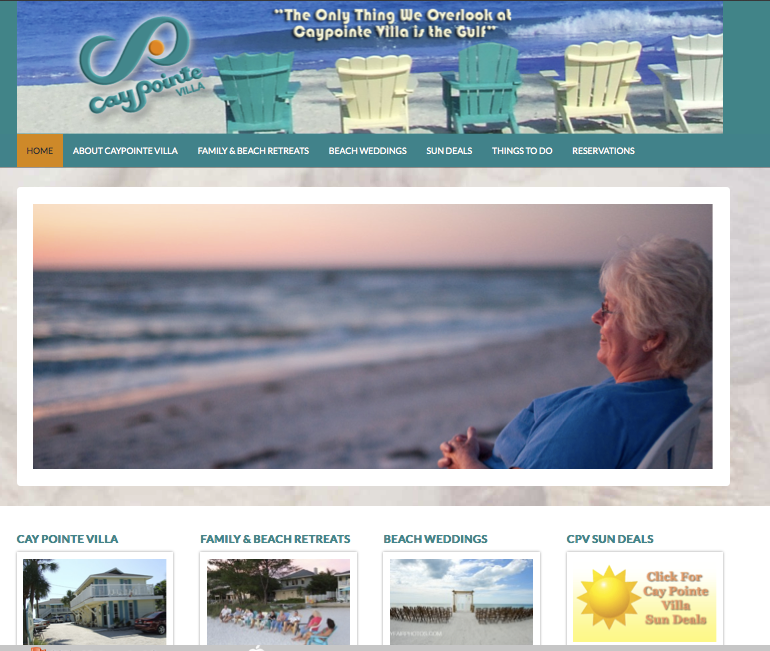 The new site is beautiful, it’s easy to navigate and most importantly, on every interior page it’s simple to know that the property wants the prospective guest to check the calendar and request a reservation. 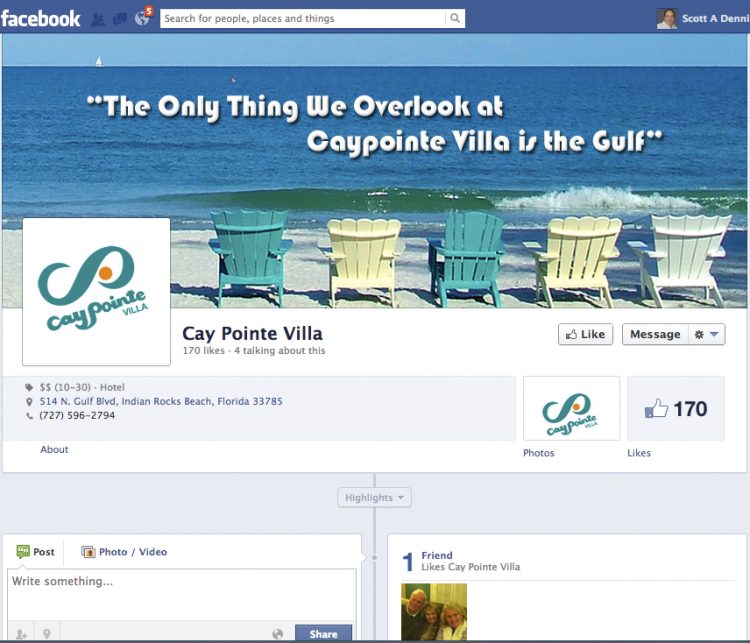 We also know that social media can have a huge impact on a vacation property simply due to the viral nature of friends sharing stories and pictures with friends, so we made extra sure to design a custom Facebook page and tie it together with the site. The client has never done any search engine optimization (SEO) beyond the basic on-page optimization which was included in the original project and is not using social media on an everyday basis but the reason for that is simple. This is a small property (Four 2-3 BR units, plus one studio) and when she books weddings, the family/wedding party often reserves the entire property. In the 2 1/2 yearsÂ since this site was launched we’re now approaching 600Â reservation requests and with a minimum 4 night stay, the property has been largely sold out for 2 consecutive years. 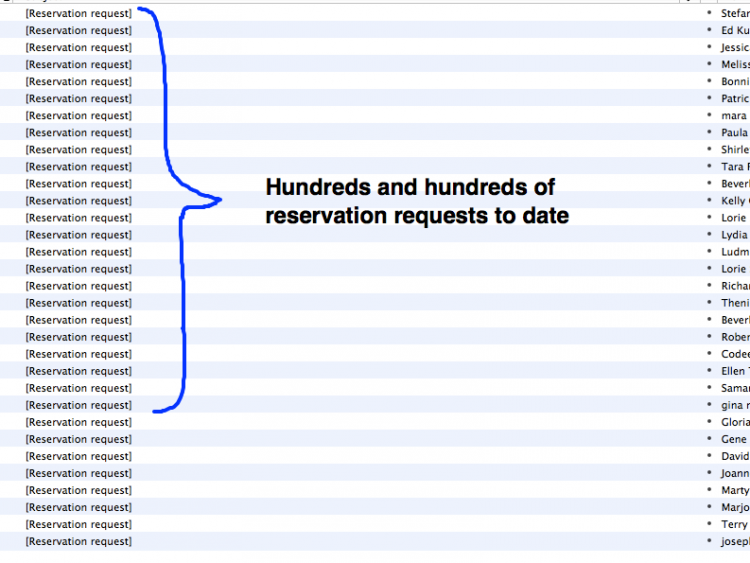 Several months ago we upgraded the reservation request form and have since added another 167 leads. Many of these are for beachfront destination weddings packages. If your website is old and is failing to produce enough leads for your business to achieve its goals – perhaps we should talk. You can connect with me here and arrange time to talk. I’ll look at what’s going on currently, learn what your business growth goals are and help you map out a strategy to get there.